1106. … In the first week of Lent, on the Friday, 16 February, a strange star appeared in the evening, and for a long time afterwards was seen shining for a while each evening. The star made its appearance in the south-west, and seemed to be small and dark, but the light that shone from it was very bright, and appeared like an enormous beam of light shining north-east; and one evening it seemed as if the beam were flashing in the opposite direction towards the star. Some said that they had seen other unknown stars about this time, but we cannot speak about these without reservation, because we did not ourselves see them. In George Norman Garmonsway (ed., trans. ), 'The Parker Chronicle', The Anglo-Saxon Chronicle (1953), 240. This translation from the original Saxon, is a modern printing of an ancient anthology known as The Anglo-Saxon Chronicle. Manuscript copies were held at various English monasteries. These copies of the Chronicle include content first recorded in the late 9th century. This quote comes from the copy known as the Peterborough Chronicle (a.k.a. Laud manuscript). For the most part, Western medicine doctors are not healers, preventers, listeners, or educators. But they're damned good at saving a life and the other aspects kick the beam. It's about time we brought some balance back to the scale. Form may be of more account than substance. 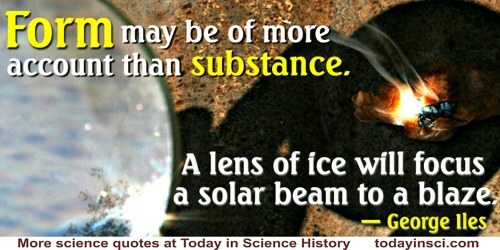 A lens of ice will focus a solar beam to a blaze. I knew, however, that it would cost ten times what I had available in order to build a molecular beam machine. I decided to follow a byway, rather than the highway. It is a procedure I have subsequently recommended to beginning scientists in this country, where research strategy is best modelled on that used by Wolfe at the Plains of Abraham. The beams wrenched loose and hanging ready to fall. 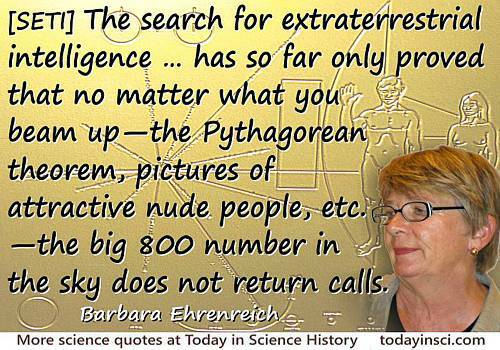 Yet they see so great a mass of earth collapse! No force could rein things galloping to destruction. Its wavering mass restored to the right poise. Most then the middle, and ground floor hardly at all. On the Nature of Things, trans. Anthony M. Esolen (1995), Book 6, lines 558-77, 216. Fall on the watery cloud. The Pleasures of Imagination (1818), 50. Are lightened by his beams, and kindly nurs’d. From 'Eleanora' (1692). Collected in Samuel Johnson (ed. ), The Works of th Poets of Great Britain and Ireland (1800), Vol. 3, 130. Fair mental beam, extend thy sway, And shine from pole to pole! O'er every mind thy riches pour, Excite from low desires to soar, And dignify the soul. 'Botany', I. From Poems on Conchology and Botany (1831), 176. The sun has lost no beams, the earth no elements ; gravity is as adhesive, heat as expansive, light as joyful, air as virtuous, water as medicinal as on the first day. There is no loss, only transference. When the heat is less here it is not lost, but more heat is there. In 'Perpetual Forces', North American Review (1877), No. 125. Collected in Ralph Waldo Emerson and James Elliot Cabot (ed. ), Lectures and Biographical Sketches (1883), 61. There was no instant when a mist of plankton … was not swirling in the path of the beam [of the bathysphere]. As quoted by Rachel Carson in The Sea Around Us (1950, 2003), 62. Carson states that in his bathysphere descent, more than a quarter of a mile down, Beebe reported aggregations of living things “as thick as I have ever seen them.” At half a mile—the deepest descent of the bathysphere—Dr. Beebe recalled the mist of plankton. This is a huge step toward unraveling Genesis Chapter 1, Verse 1—what happened in the beginning. This is a Genesis machine. It'll help to recreate the most glorious event in the history of the universe. As quoted by Alexander G. Higgins and Seth Borenstein (AP) in 'Atom Smasher Will Help Reveal "The Beginning" ', Bloomberg Businessweek (30 Mar 2010). We plant the ship, which will cross the sea. We plant the ship when we plant the tree. We plant the houses for you and me. We plant the house when we plant the tree. We plant all these when we plant the tree. (Feb 1890) In The Poems of Henry Abbey (1895), 262. When I undertake the dissection of a human cadaver I pass a stout rope tied like a noose beneath the lower jaw and through the two zygomas up to the top of the head, either more toward the forehead or more toward the occiput according as I want the cadaver to hang with its head up or down. The longer end of the noose I run through a pulley fixed to a beam in the room so that I may raise or lower the cadaver as it hangs there or may turn it round in any direction to suit my purpose; and should I so wish I can allow it to recline at an angle upon a table, since a table can easily be placed underneath the pulley. This is how the cadaver was suspended for drawing all the muscle tables... though while that one was being drawn the rope was passed around the occiput so as to show the muscles in the neck. If the lower jaw has been removed in the course of dissection, or the zygomas have been broken, the hollows for the temporal muscles will nonetheless hold the noose sufficiently firmly. You must take care not to put the noose around the neck, unless some of the muscles connected to the occipital bone have already been cut away. It is best to suspend the cadaver like this because a human body lying on a table is very difficult to turn over on to its chest or its back. From De Humani Corporis Fabrica Libri Septem (1543), Book II, 268, as translated by William Frank Richardson and John Burd Carman, in 'How the Cadaver Can Be Held Erect While These Muscles are Dissected', On The Fabric of the Human Body: Book II: The Ligaments and Muscles (1998), 234.